Bangladesh and the European Union are holding third diplomatic consultations to discuss a wide range of issues of common interest including political developments on both sides, UNB reports. 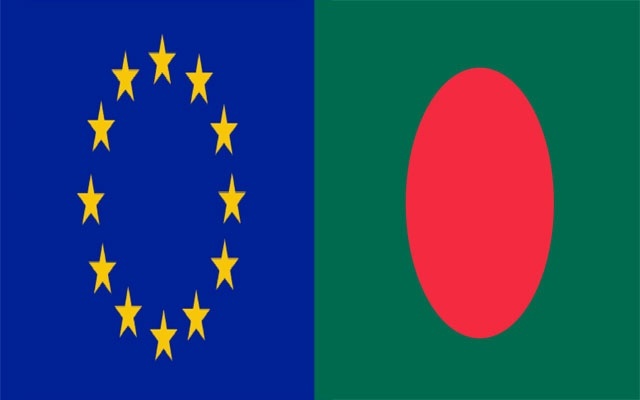 Trade and investment, matters of regional and global interest where the EU and Bangladesh can intensify collaboration are likely to be discussed in the meeting that began at 10:30am at State Guesthouse Meghna on Thursday. Issues relating to connectivity, migration, peace and security, terrorism and Agenda 2030 will also be discussed. Foreign Secretary M Shahidul Haque and Managing Director for Asia and the Pacific Gunnar Wiegand are leading Bangladesh and EU sides respectively in the meeting. A press briefing will be held after the talks at State Guesthouse Meghna. The second diplomatic consultation between Bangladesh and the EU was held on February 15 last year in Brussels.